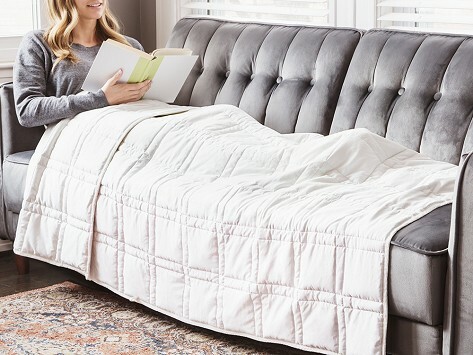 Curl up with a weighted blanket and let its gentle pressure help you feel calm, relaxed, and secure. It’s sized to sit on top of a queen-size bed and is made with soft cotton. The machine-washable blanket gets its weight from glass beads, an eco-friendlier and better-feeling alternative to plastic ones. Quilted stitching keeps the beads from shifting, so weight stays evenly distributed. 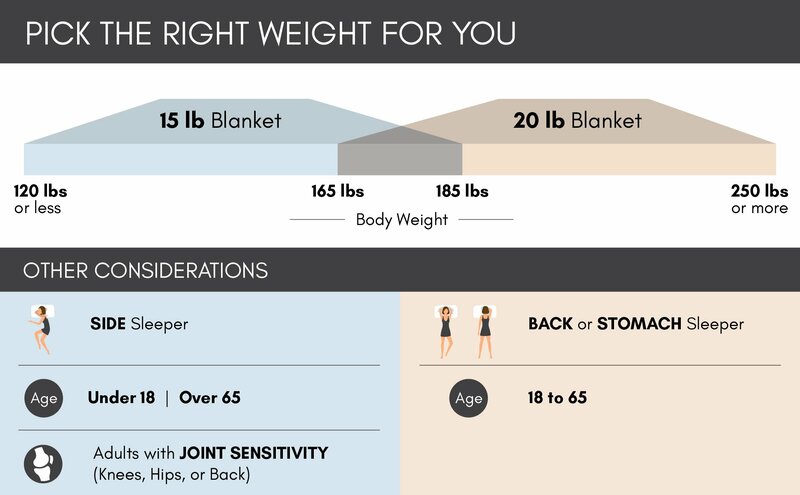 Pick a 15 or 20 pound blanket depending on your size and sleep position. Dimensions: 60" x 80" x 2"
Weight: 15 or 20 lbs. This roomy blanket can cover the top of a queen-size bed and it comes in two different weights, depending on your size and sleep position. We tried the blanket out and were amazed at the peaceful effect it created and how comfortably secure you can feel just by pulling it on.